FHA & VA OK! 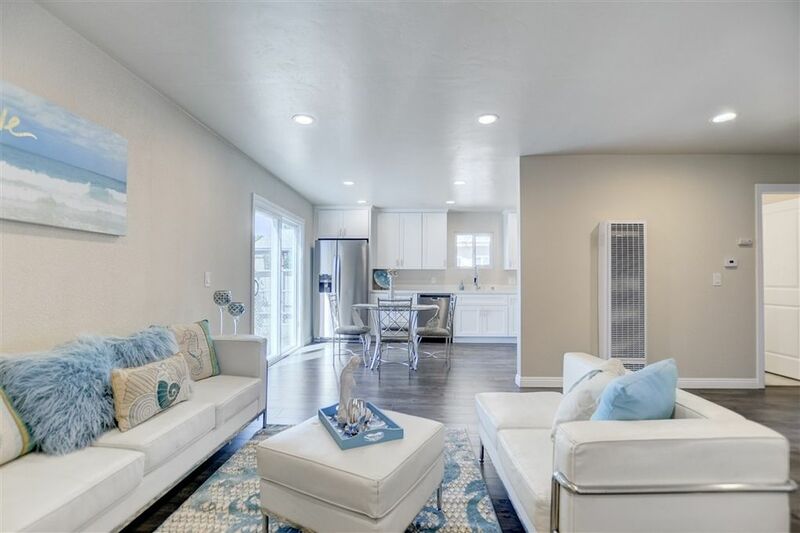 Beautiful remodeled include new Dual Pane Windows, New Roof, Enjoy the modern Open Bright Kitchen with Quartz counter tops, stainless stainless steel appliances including double door refrigerator, recessed lighting & newer fixtures throughout, stylishly remodeled bathrooms, Laminate flooring. Beautiful relaxing Mountains View from the backyard to relax and entertain guest, artificial turf grass in the front, home fully fenced, 2 car carport-driveway Laundry hookups located in the hall closet. Directions: Take Jamacha Blvd left on Huron St that becomes Galopago St then right on Arapaho St.